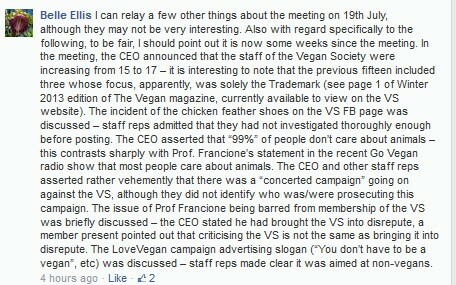 I have been critical recently of the “rebrand” of The Vegan Society, which, as I have explained has a major flaw: it doesn’t promote veganism. 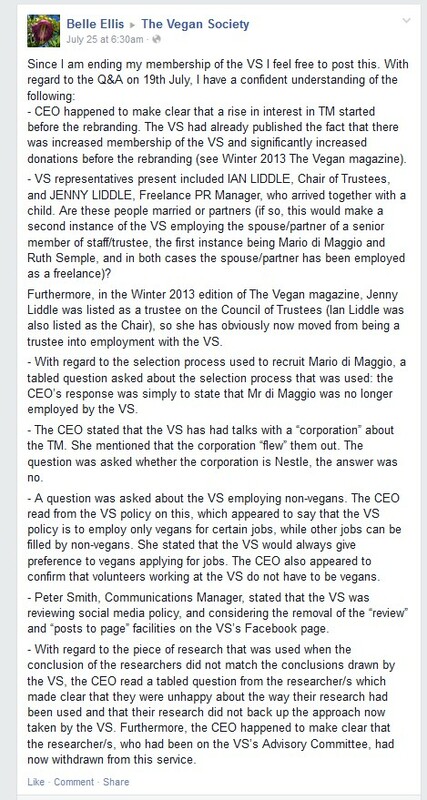 I have in the past been critical of The Vegan Society for taking paid advertisements in in its magazine, The Vegan, which promote non-vegan restaurants and inns. For example, I was critical of an ad in which a non-vegan restaurant was described in The Vegan as “A Haven for Peace & Inspiration.” It’s not any sort of “haven” for the animals who were exploited to produce those foods. I am requesting to be able to attend the July 19 meeting by Skype. I would like to hear firsthand what you all have to say about what I regard as a most serious departure from the progressive vision of Donald Watson. I am doing research into Watson and it is clear to me that Watson was a moral realist who would never agree with the relativism that is the very foundation of your new approach. In any event, I would very much like to attend but given that I am in the United States, I am requesting the accommodation of being able to attend by Skype. If you want me to pay a membership fee as a condition of my virtual attendance, I will remit that to you immediately. 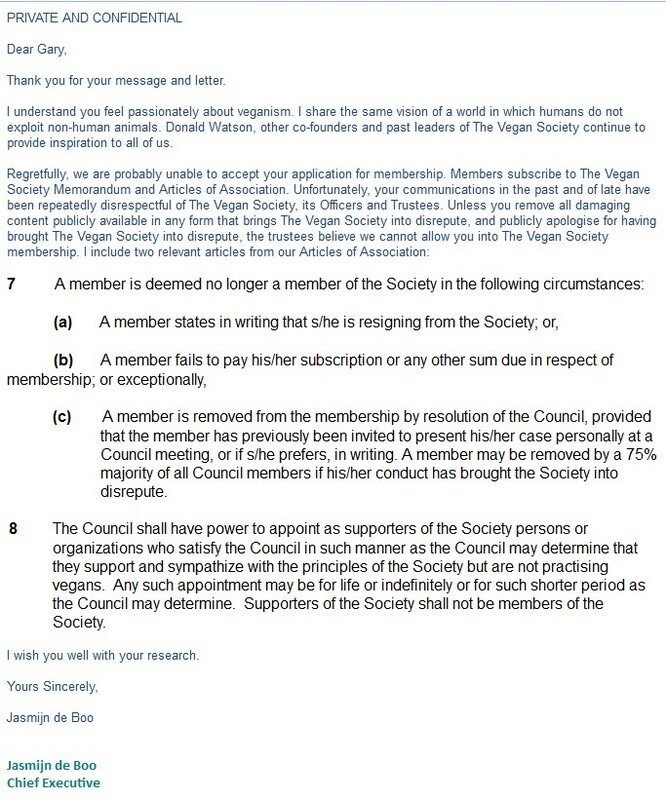 I have brought The Vegan Society “into disrepute.” I have insisted that The Vegan Society promote veganism as a moral baseline. http://www.abolitionistapproach.com/wp-content/uploads/2015/09/aa_logo.png 0 0 Gary L. Francione http://www.abolitionistapproach.com/wp-content/uploads/2015/09/aa_logo.png Gary L. Francione2014-07-11 09:09:082014-08-08 10:25:56I Brought The Vegan Society "Into Disrepute." I Insisted That The Vegan Society Be Vegan.